Rotherham United got a point at the New York Stadium yesterday against Stoke City who look on paper like they should be beating everyone in the Championship. I think we held our own and in the second half were often on top, though concede that the Potters had the better of the first half and perhaps should have been winning going into the break. 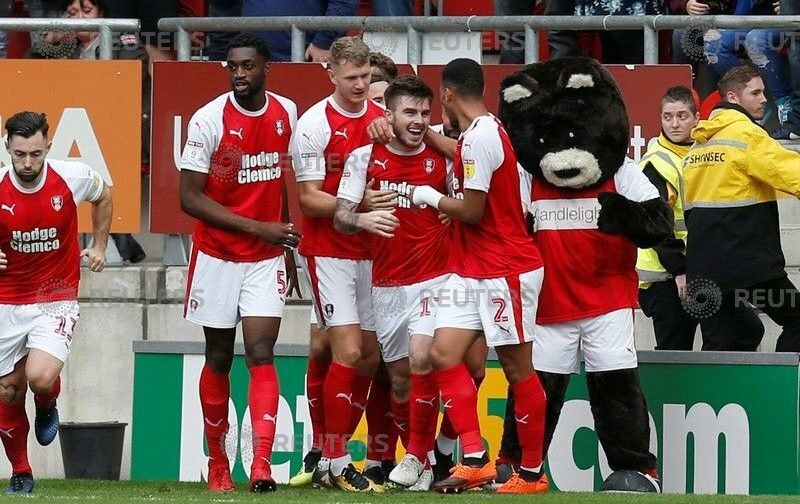 Again, I thought yesterday’s game, from a Millers point of view, was very much a team effort which is what Rotherham Manager, Paul Warne, is all about. Goalkeeper Marek Rodak was the sponsors Man of the Match at the ground whereas Sky Sports announced their Man of the Match as Mr Reliable, Semi Ajayi. I wouldn’t argue that both of those played well, both putting their bodies in front of shots. I also think Richie Towell had a very good game and Ryan Manning and for me either those two or Ryan Williams would have been my choice. What score will you give the Millers players against Stoke?